I hosted a movie night party with the whole theme centered around movies . 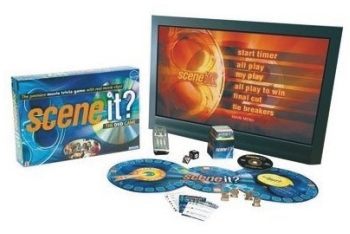 What we did first was we played Scene It movies. Next, we had cake and ice cream. Then, we all at the same time randomly picked a movie name from a hat. After we picked what movie to watch we made popcorn and had candy while watching the movie. After the movie was over the girls opened presents and called it a night. It was the best movie night party I have ever had! For a movie night you could hang posters of the movie you are watching.